In partnership with Unilever, the maker of Vaseline, Direct Relief is working to improve the skin health of millions of people living in crisis and emergency situations through The Vaseline Healing Project, launched June 11 at the World Congress of Dermatology in Vancouver. Products: Direct Relief is managing the charitable distribution of more than one million units of Vaseline products annually. Many of the Vaseline products will be included in existing Direct Relief kit programs – including Personal Care Packs, Obstetric Fistula Modules, Hurricane Preparedness Packs, Emergency Medical Backpacks, and Midwife Kits. Missions: Direct Relief is facilitating Healing Missions focused on improving skin health on the frontlines with health care partners. 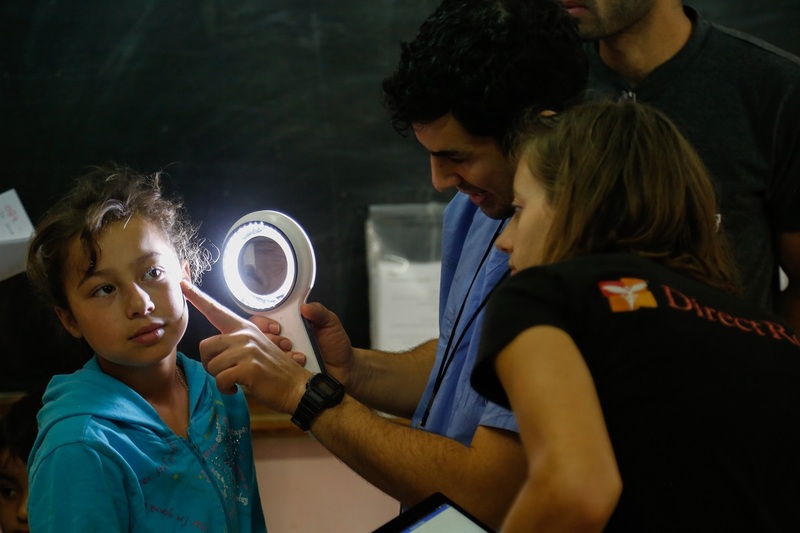 The organization will be helping coordinate dermatology volunteers who will be serving on the missions and providing dermatological care to areas of high need, including people affected by crisis situations (such as Syrian refugees) and communities that experience devastating emergencies. In addition to Vaseline products, Direct Relief will be providing essential medical aid (including anti-fungal and antibiotic medications) and supplies (gauze, bandages, alcohol, hand sanitizer, etc.) to help improve the skin health of people receiving care at the Healing Missions. Advisors: To help provide critical insight into the Healing Project, Direct Relief has create a Dermatology Advisory Board of skin health experts to provide guidance into program elements – such as data collection, training, and reporting impact. Data Collection: Direct Relief is collecting data from a variety of Healing Project components to understand what gaps exist in skin health and product availability, which will determine program build-out in future years. Reporting: Direct Relief is working to map, track, and measure the impact of the program, via the development of an Interactive Aid Map that will live on the Vaseline website. Training: With input from the Dermatology Advisory Board, Direct Relief will be formulating an educational skin health curriculum to improve diagnoses and treatment on the frontlines. The idea for The Healing Project stemmed from the insights of dermatologists Dr. Grace Bandow and Dr. Samer Jaber, who highlighted Vaseline Petroleum Jelly as one of the highest priority supplies to treat people suffering from skin conditions in refugee camps following a mission trip to Jordan. You can read their observations in this op-ed written for The Washington Post. This March, both Dr. Bandow and Dr. Jaber were part of the first Healing Mission in Jordan. You can participate in the program by helping build a virtual kit to help a person in need.